Dawn Dwyer of SBC helps load food and supplies for delivery to communities impacted by the Butte Fire. In times of disaster, there’s not one organization that can handle every need on their own. The American Red Cross relies on many different partners in the community to deliver much needed aid and support to affected areas. 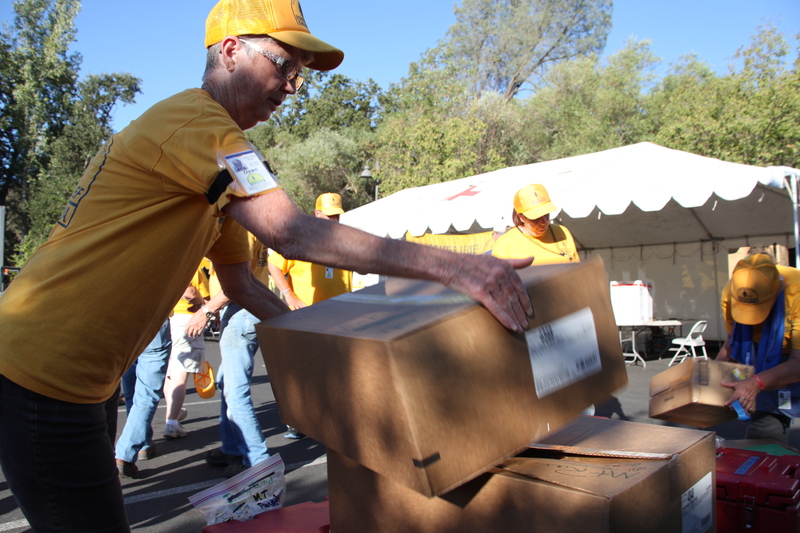 One such partner is Southern Baptist Convention Disaster Relief, who have been providing one of the most valuable resources to residents impacted by the Butte Fire in California – food! With their mobile kitchen, cooking supplies, and passionate volunteers, the SBC is churning out upwards of 2,000 meals a day to help feed affected communities and the many volunteers working tirelessly to deliver aid. 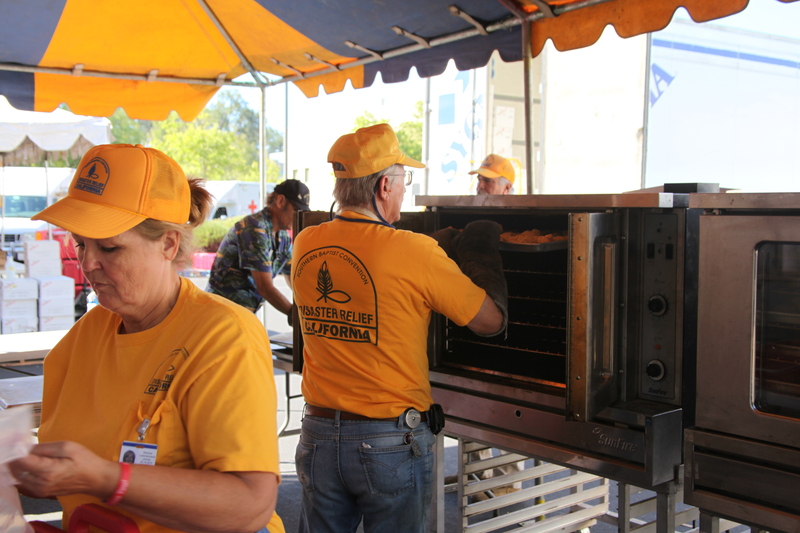 SBC volunteers prepare lunch for delivery in Mountain Ranch, CA. The Southern Baptist Mobile kitchen facility set up in San Andreas has the capacity to produce literally thousands of meals per day. On a recent night SBC volunteers prepared 750 servings of beef stew, loaded the meals into Red Cross Emergency Response Vehicles (ERVs), and provided a warm dinner for area residents. While food preparation is an SBC specialty, the team also provides mobile showers and other emergency relief solutions as disasters unfold and needs become known. They have the capacity to respond quickly and on a large scale just like the Red Cross thanks to their volunteer network, which extends both nationally and internationally. 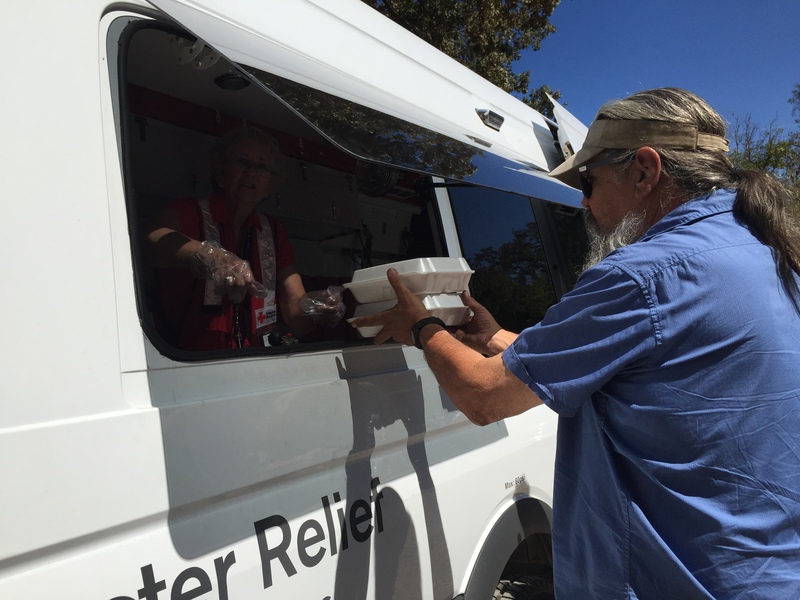 Red Cross volunteers provide SBC-prepared food to affected communities. We would like to salute the Southern Baptist Convention for their selfless contribution to communities in need! They are a reflection of the Red Cross mission to “alleviate human suffering during times of disaster”, and for that we – and those touched by disaster – are truly grateful.